A few weeks ago some tenants in New Bedford sparked an apartment fire trying to exterminate bed bugs from the home. According to South Coast Today, “Tenants inside a North End apartment were using a flammable liquid to exterminate bed bugs on a couch, when a space heater turned on and ignited the apartment, police said.” This is just one example of why trusting a bed bug exterminator in Seattle is the best choice for your home. Many home remedies for bed bugs call for using an alcohol based spray. It’s one of the top DIY methods for exterminating bed bugs, but there are a few problems with this method. The liquid sprays usually work only when in direct contact with the bed bug. However, that is a rare moment since they are tiny creatures that like to burrow into warm spaces. Moreover, the liquid is flammable. While the tenants were smart enough to not light a fire near the couch after it was doused in the flammable liquid, they were not aware of the space heater in the room. The couch ignited when the heater turned on. A safety precaution when using the DIY sprays includes unplugging all electronics in the area and avoiding any heat coils. The best safety precaution of all is leaving the work up to the professional bed bug exterminators who understand all elements and scenarios. Not only will your apartment stay burn-free, but your bed bugs will surely be eliminated. 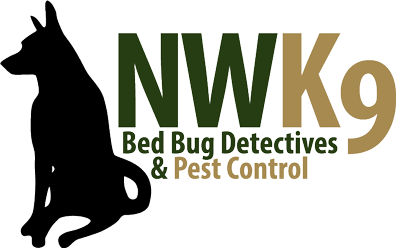 Contact Northwest K9 Bed Bug Detectives for more information.